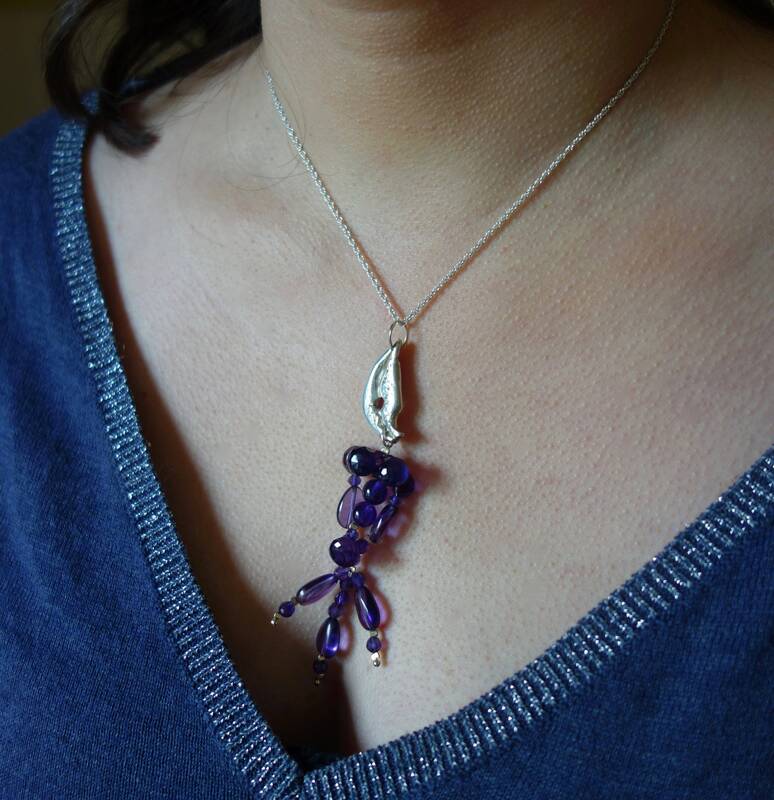 Silver Pendant with engraving and beautiful natural gem quality Amethyst beads. For women. Sterling Silver 925/1000 carved and etched. It comes with beautiful natural gem quality Amethyst beads, the beads have various shapes and are faceted, they are a deep purple. This piece is particularly original and elegant. To wear on a silver chain, this pendant will magnify your outfit in accordance with your personality. It was made entirely by hand in my Studio. This is a unique stamped my mark. This jewel will be shipped in a gift box.